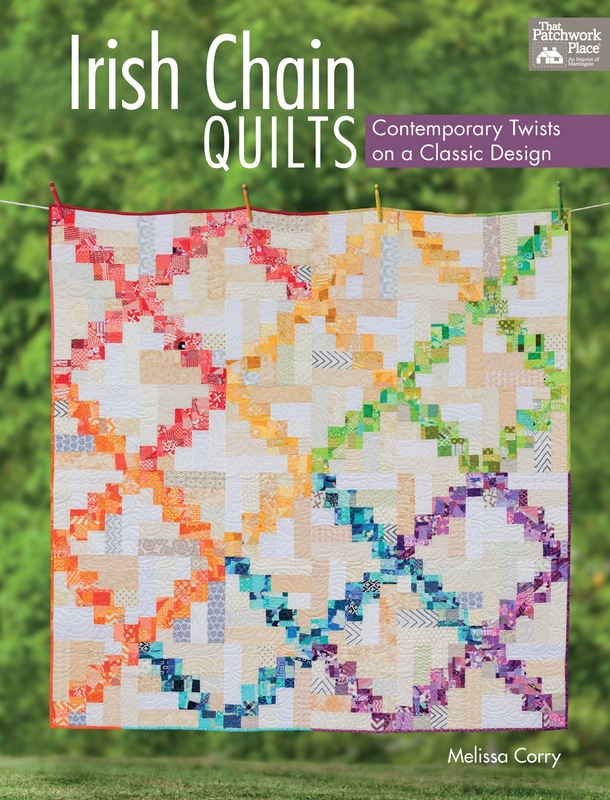 Happy Quilting: Sew Mama Sew Giveaway Day!!!! So what do you have to do for your chance to win??? Simple . . .
And I follow on Bloglovin'. My favorite color is Mustard! Truly my color is blue and I just love this fat quarter bundle. Such awesome colors. 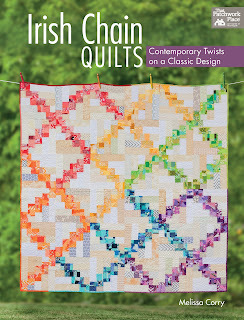 I would be so honored to win a signed copy of your book, Irish Chain Quilts. Thank you for chance to become a winner and I do follow you every day thru emails and totally enjoy your blog. I have a hard time choosing a "favorite" color because I love them all....but for all time, I gravitate toward blues - especially the color of the ocean in the Caribbean. I love green (and blue)! I love all shades of blue! Thanks for the chance to win. I follow via Instagram and more! Я люблю зеленый, фиолетовый и желтый! Just added you to my Bloglovin list after looking around a bit. Great blog! Normally I would say purple but I am thinking I am leaning toward Aqua more these days. My favorite color is teal....that's the color of my eyes. Thank you for 2 chances to win. I, too, love purple followed closely by teal! I'm really loving coral these days. I love blue, but I am drawn to yellow when I sew! I love teal! I'm following on Twitter. I'm an orange gal! Thanks for the chance. What a lovely giveaway! Thank you so much! I am a huge fan of blue: I can't help myself! I really like all colors, but I would have to say that purple makes me happiest so it is my favorite (blue is a close second). I follow you on Blogger Dashboard. My favorite color might be Navy. I follow you through FB and Blog Lovin' and just added Instagram! Be still my heart! Lime green is my favorite color! I love a deep rich red. And similar deep colors. Forest green is my favorite color! Pink! But, I rarely admit it. My favorite color changes as I really like so many. Right now it's teal. I gravitate to everything green. I follow via Feedly and Instagram! I have been following you in my Bloglovin feed since I've been Bloglovin . My color preference changes A LOT! Currently I'm an orange lover. My favorite color is turquois. My favorite color is red. My favorite to use in a quilt is yellow. Green is my all time favourite. Any shade of. Thanks for the giveaway! My favorite has always been blue, but lately I've really be wanting to use orange. Hi, Melissa. Favorite color? Tough call. Red. I now follow you on Pinterest! Thanks for the chance to win goodies! My favorite color is ORANGE..
My favorite color is purple as well. Thanks for the chance, it is a great price! I adore blue! Thank you for this wonderful giveaway! I love purple too :) I receive the email updates! Blue is my most favorite color.... so many gorgeous shades to choose from! I am a fan of blue! I also already follow you via my rss reader, feedly. I follow you on Facebook, Instagram, Pinterest, and Twitter. I enjoyed reading about your crossroad in life! My husband was in the army for 20 years, so I can relate! I follow through email updates. My favourite is purple and brown together. Can't choose between them because what's best is having them together! I am following you on Pinterest (zephyra...). Thanks! I love aqua, thanks for the giveaway! I follow via email, thanks for the giveaway! I love, love, love red! My favorite color changes constantly, so it is hard to say. But I do tend to gravitate towards blues. It changes all the time, but reds are usually my favorite. Thank you for the generous giveaway. My favorite color is green. My truly favorite color is teal :) Thanks for the giveaway! My favorite color is purple too. My bedroom walls are painted two shades of purple. Orange! Thanks for the giveaway! I follow on bloglovin. Thank you! I follow you with Google Blogger. I follow via GFC and Instagram. Follow you by email and am glad that I do! My favorite color is teal blue. Love the visual impact of the blue and green. I love aqua - and red, and pink, and blue...hard to choose just one! My fave colors are black, and purple. I love all autumn colors, burgundy, red, yellow. My favorite color is a light turquoise! My favorite color is blue all shades, I have been drawn to turquoise lately, it is such a calming color for me. My favorite color is Orange - every hue possible. Thank you for the wonderful give away. I am a faithful follower of yours via bloglovin and so wish to own your book!